In these fleeting days of summer, I find myself drawn to the light. The last rays before the sun drifts behind a hillside. Don’t go, day, don’t go. As a chill presents itself in the evening air and the day end creeps dangerously close to dinner time, before we know it, it’s winter. Under the cover of nightfall, we find ourselves holed up, hunkered down, and ordering in. In these final days of summer, I refuse to submit. I’ll keep the picnic dream alive with one last summertime favorite. Chicken salad — with peaches. Double down or walk away. I still remember the day of the epiphany. Apparently pulling one over for years of my youth, I found my mom in the kitchen, passing off canned “chicken” with mayo as the real deal homemade. 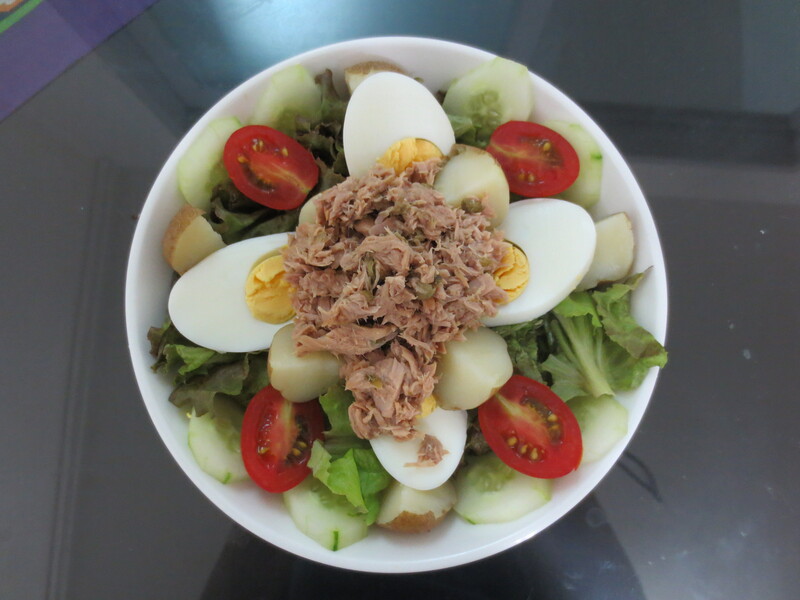 Living under the pretense that an aptitude for recipes such as chicken salad came only by way of a generation gap and an arsenal of secret ingredients, I was appalled. The thought of a dressing untempered by even so much as mustard nearly brought tears to my eyes. What do you mean that’s all it is? Just, just…mayonnaise? Appalled at the simplicity, I developed a leniency towards recipes bulked out with cranberries, almonds and the like. A balanced tang countered with a delicate sweetness. Not to mention a limited quantity of mayonnaise. This time looking for something a bit different, I took to the internet. I landed on a recipe that incorporated Dijon and capers in addition to fresh fruit. 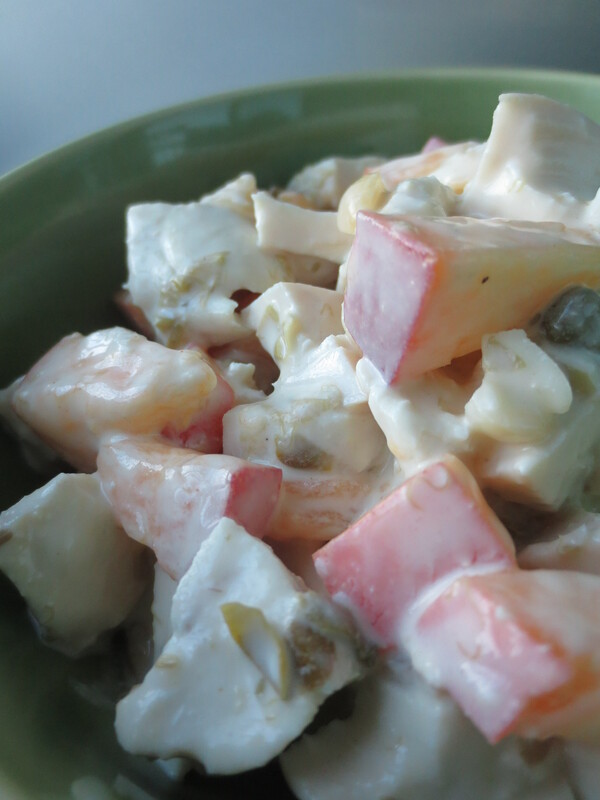 I substituted peaches for fresh grapes, timidly mixed in the capers…and was delighted! Perfect for those endless summer nights. Bring water and bouillon cubes to a boil in a large saucepan, then add chicken and cook at a bare simmer, uncovered, stirring occasionally, until just cooked through, about 5-8 minutes. Drain and cool, then dice into 1-inch chunks. Meanwhile, stir together yogurt, mayonnaise, and mustard. Stir chicken and remaining ingredients into dressing with salt and pepper to taste.